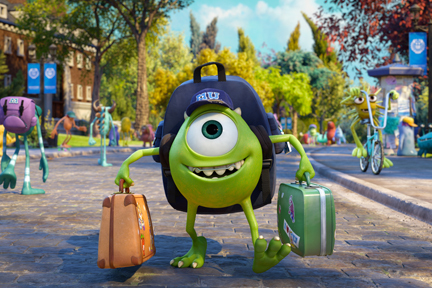 Ever since he was a kid monster, Mike Wazowski (Billy Crystal) has dreamed of becoming a Scarer. To make his dream a reality, he enrolls at Monsters University. During his first semester, he meets Sulley (John Goodman), a natural-born Scarer. Sulley and Mike engage in a fierce rivalry that ultimately gets them both kicked out of MUs elite Scare Program. To make things right, Mike and Sulley — along with a bunch of misfit monsters — will have to learn to work together.